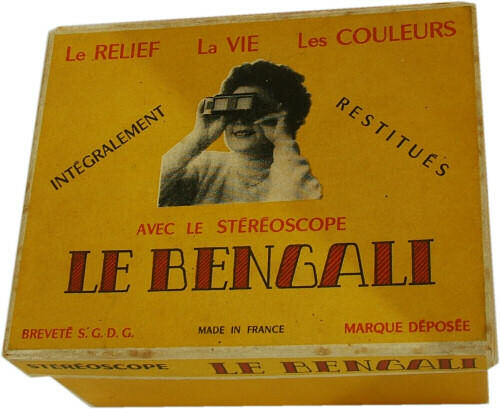 The Le Bengali stereoscopic viewer was manufactured in Lourdes, France, probably in the 1950's. It is constructed from hard plastic. There is a small window between the lenses where the user can view the slide title. This viewer is very rare and appears to have been sold exclusively by E. Quinault, 6 rue de l'Hôtel de Ville. These operating instructions were glued inside the lid of the box. Many thanks to F. Hemminghaus for gifting this viewer to me. The slide format used was quite unusual. 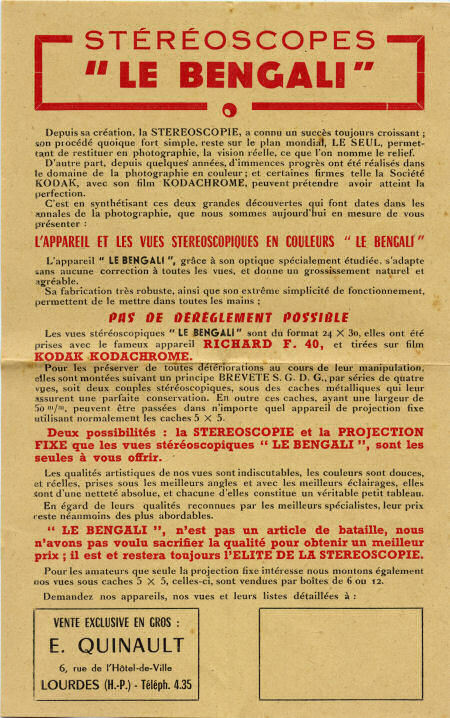 It consisted of two pairs of stereo viewers in an aluminium covered cardboard mount. 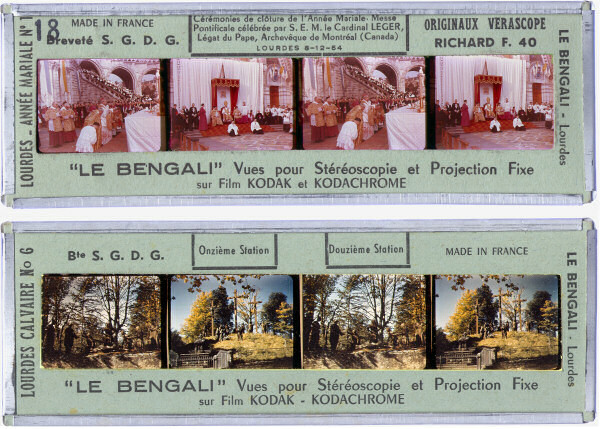 These came in boxed sets consisting of three slides, which gave six stereoscopic views in all. 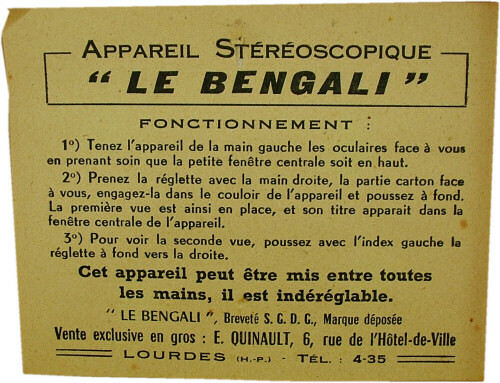 The slides for the Le Bengali were very well made. The back was a sheet of thin aluminium which was stamped out and the edges wrapped around the front of the cardboard slide frame. This meant the slides were very rigid. Also, Kodachrome film was used and so the images have lasted well, still retaining their bright colours. Many thanks to S. Schoevaart for gifting these slides to me.